Barretstown has served 1,400 campers so far this year bringing the total number of campers served by the charity to over 30,000 since it was founded 21 years ago. 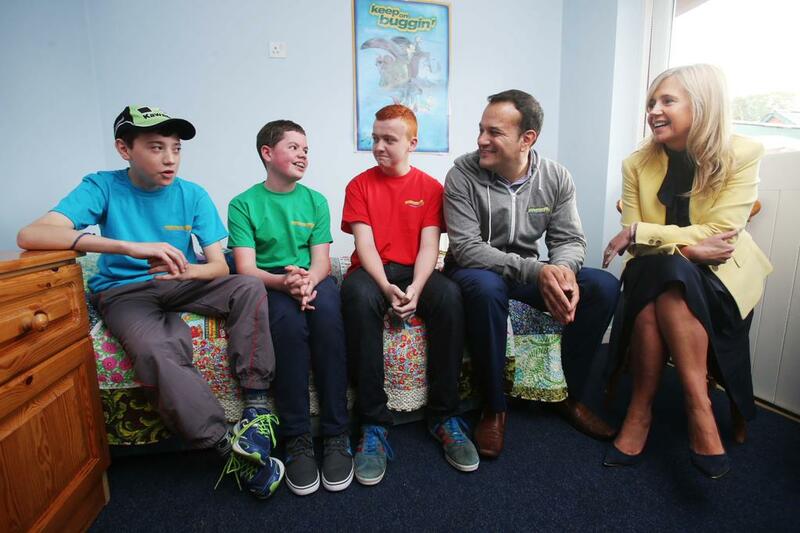 Minister for Health, Leo Varadkar today visited Barretstown to join volunteers at one of the many summer camps taking place at the children’s charity this summer. Barretstown, which was founded by actor Paul Newman over 20 years ago, has helped over 30,000 seriously ill children and their families since it opened its gates in County Kildare in 1994. The Minister was taken on a tour of the camp where he met members of staff and volunteers as well as campers and their parents giving him a real sense of what the camp offers to children with serious illness. As part of his visit, Minister Varadkar met the medical team at the Med Shed, Barretstown’s medical centre. While the Med Shed is fully equipped to cater for the needs of seriously ill children, it looks nothing like a hospital. It’s a discrete and friendly place where campers receive treatment without feeling like they are in a hospital setting. The Med Shed is housed in a beautifully restored stone cottage that overlooks Barretstown’s ‘Secret Garden’. Barretstown is a specially-designed camp which provides therapeutic recreation to children affected by serious illnesses and their families. All of the children and families come to Barretstown free of charge and Minister Varadkar was given the opportunity to meet the parents of the campers this morning. Commenting on the visit, Dee Ahearn, CEO of Barretstown said: “We welcome the Minister here to Barretstown today and thank him for taking the time out of his busy schedule to join our volunteers. Our summer sessions are in full swing now and without our volunteers and the public’s generous donations, we wouldn’t be able to serve the number of children we do. Over 1,400 campers have benefited from one of our residential programmes so far this year and we’re only half way through the summer sessions! Barretstown is all about helping seriously ill children rebuild their lives while giving them back some of their childhood that they may have missed out on. It’s also about supporting their families through such a difficult time.